Los jimadores in the fields of Amatitán trim the outer leaves to harvest the agave piña for roasting. Casa Herradura’s authentic tahona stone that once crushed the roasted agave pulp at the Hacienda San José del Refugio. A room at the Villa Ganz hotel in Guadalajara. Salt. Shoot. Lime. Repeat. Mention the word tequila and that’s the first thing that springs to mind—my mind, anyway. A beverage to be suffered rather than savoured. 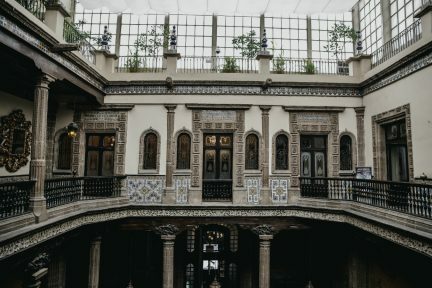 As such, the irony of this southern sojourn was not lost on me: a trip to Guadalajara, Mexico’s second largest city, to learn about the fine art of tequila making at Casa Herradura. Villa Ganz offers welcome respite after a long day of travel. 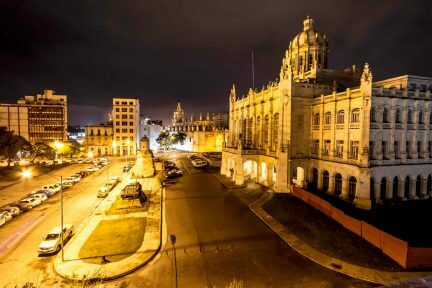 It’s an elegantly restored 1930s mansion in Guadalajara’s Zona Rosa, a vibrant district just west of the Centro Histórico that’s known for its restaurants and nightlife hot spots. Tranquil and intimate, thoughtfully appointed with antiques and works by regional craftsmen, this boutique inn immediately envelops me with its charm. 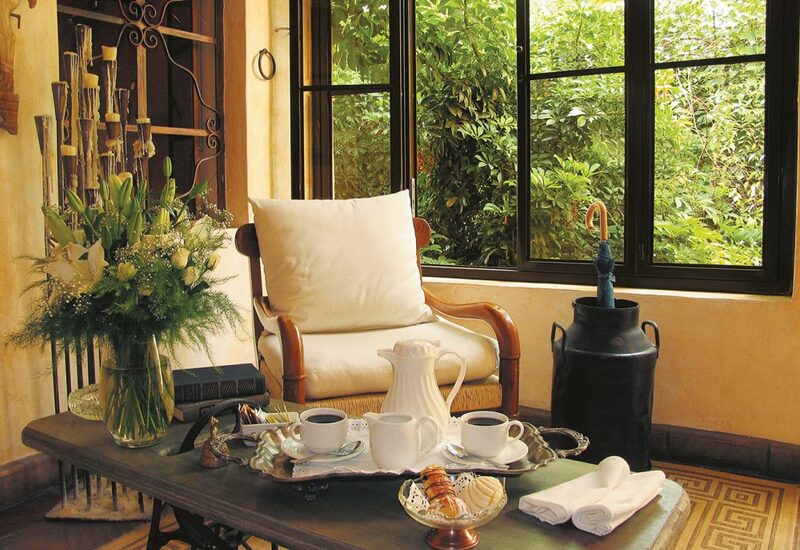 Owner Sally Rangel and her staff graciously accommodate the vicissitudes of their individual guests’ itineraries, readily serving an early morning continental breakfast in the beautifully manicured garden or arranging a candlelit dinner by the warmth of the outdoor fireplace. The following morning dawns far too early for my liking, and I pull the duvet tightly around me after sleepily mumbling “muchas gracias” in reply to my 6:30 a.m. wakeup call. Little do I realize, however, that los jimadores have already started their day out in the agave fields of afar. I would soon learn from Ruben Aceves, international brand ambassador for Casa Herradura, that these skilled farm workers commence harvest before sun-up in order to finish their shift before the full heat of the day. A scenic drive along Highway 15, aptly dubbed the Tequila Route, leads out of Guadalajara and into the heart of Jalisco state’s tequila country. Though its name was derived from a town in the neighbouring valley of Tequila, the spirit’s true origins are traced to the community of Amatitán. From as early as the 16th century, Amatitán’s indigenous people harvested mezcal to manufacture mezcal wine, a precursor to tequila as we know it today. So significant has the historical and ongoing impact of this agave culture been on Mexico’s national identity that the region bounded by the Rio Grande and the foothills of the dormant Tequila Volcano was added to UNESCO’s World Heritage List in 2006. We turn onto a bumpy farm road that winds through fields lined with countless rows of blue agave plants, stretching as far as the eye can see. There are 136 different species of agave grown in Mexico, but agave tequilana Weber azul is the only variety certified for use in tequila production. Our trek through the agave plantation continues on horseback, and we discover a typical jimador breakfast of chicken and pork gorditas awaiting us beneath the trees at trail’s end. 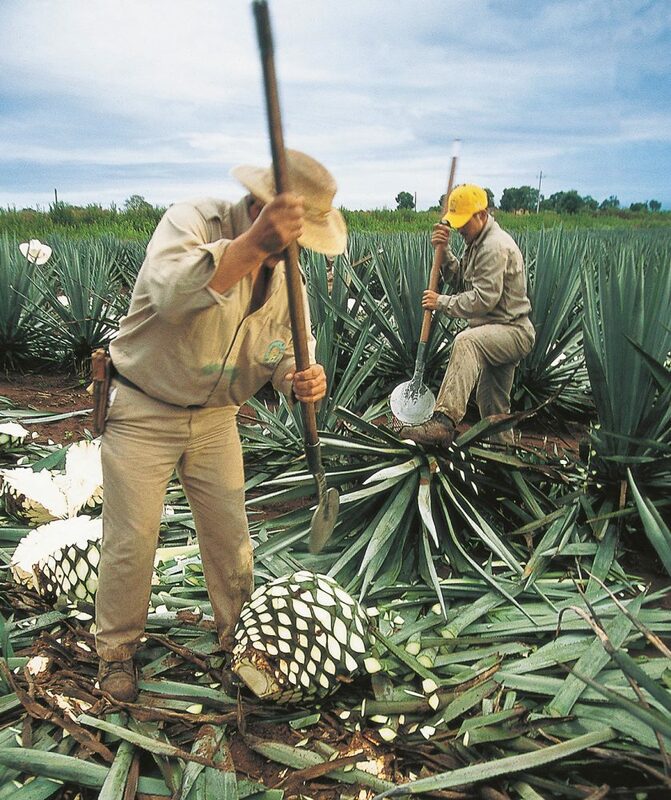 I stand mesmerized, watching los jimadores harvest the agave with long-handled, razor-sharp tools called coas. 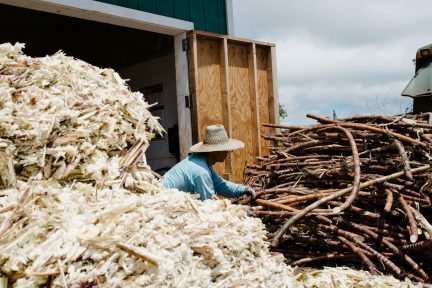 Our group’s own awkward attempts at the deceptively simple task of trimming the outer leaves to yield the plant’s sugar-rich heart, known as the piña, leave us astounded by the incredible skill required for each worker to harvest 14 0piñas over the span of a six-hour shift. While blue agave may be succulent, it is not a cactus as many people might assume. It takes seven to ten long years for the plant to develop the optimal sugar content for tequila production. Tracing the agave plant’s journey from field to bottle brings us to the Hacienda San José del Refugio, home of Tequila Herradura. Established in 1870 by Félix López, it is the region’s sole remaining working hacienda. Within its saffron yellow adobe walls are over 5,000 hectares of land under cultivation, a stately residence still in use by ancestors of the founding family and housing for hacienda workers, a blessed Roman Catholic church and a pristine modern distillery, the hacienda’s means of generating revenue. One of the day’s highlights is a walk through la taberna, the original 19th century distillery that remained in operation until 1963. 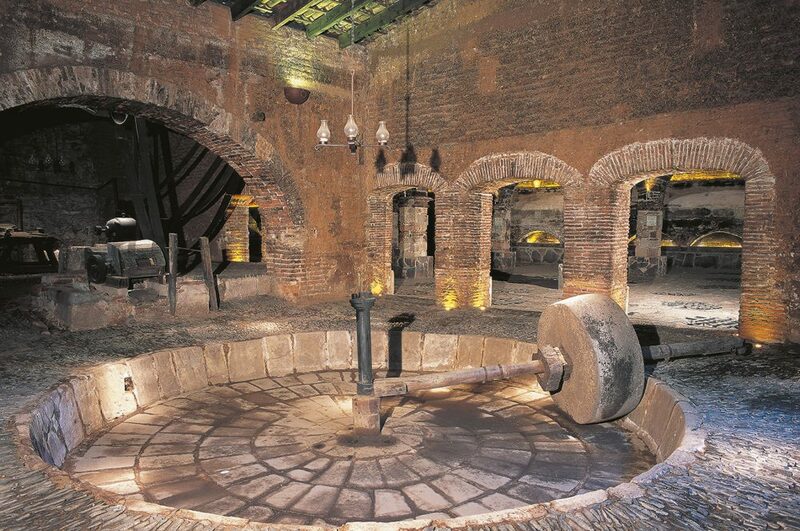 Stepping into a cool, dimly lit room, I’m awestruck by the taberna’s rustic beauty: a massive tahona stone that once crushed the roasted agave pulp; dramatic hand-cut stone archways; hammered copper alambiques formerly used for distillation. We taste our way through the different expressions of tequila across Tequila Herradura’s brand portfolio, from Blanco and Reposado (rested) through to Añejo (aged) and Extra Añejo. Sophisticated layers of flavour and unexpected notes of chocolate, mint, butterscotch and even rose petals delight my palate. 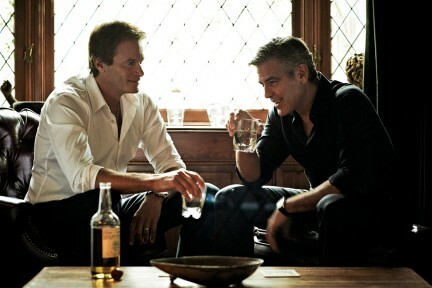 I’m astonished by the overwhelming smoothness and soon discover that there’s bona fide pleasure to be had in sipping fine tequila without a harsh, bitter aftertaste. Its slight viscosity and gentle warmth are reminiscent of fine cognac or single malt, and I’m left firmly convinced that my days of tequila shots are behind me. As we wend our way back to Guadalajara, the close of a long but enlightening day sees the transformation of this former skeptic into a believer. I tip my sombrero to Casa Herradura for facilitating my epiphany on all that premium tequila should be.